In continuation of the announcement on 17 August 2018, the A.P. Møller - Mærsk A/S (A.P. Moller - Maersk) Board of Directors has decided to initiate the separation of A.P. Moller - Maersk's drilling activities through a demerger of A.P. Moller - Maersk. The shares in Maersk Drilling Holding A/S and its subsidiaries, as well as certain other assets and liabilities, will be contributed to a new company with the legal name 'The Drilling Company of 1972 A/S' and the shares hereof will be admitted for trading and official listing on Nasdaq Copenhagen A/S (Nasdaq Copenhagen). In the following ,the company will be referred to as Maersk Drilling. Following the anticipated signing and publication of statutory demerger documents on 4 March 2019, the Board of Directors of A.P. Moller - Maersk intends to propose the demerger for approval by the shareholders at the A.P. Moller - Maersk Annual General Meeting on 2 April 2019. Subject to such approval of the demerger, the shares in Maersk Drilling will be distributed to A.P. Moller - Maersk shareholders, who in addition to their shareholding in A.P. 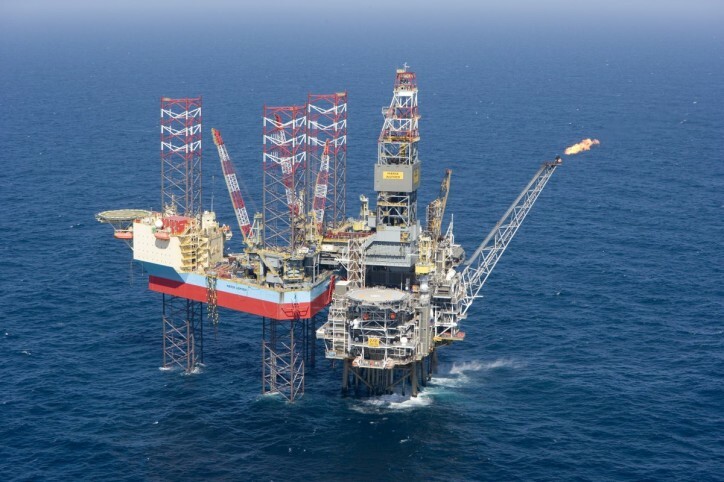 Moller - Maersk will become shareholders in Maersk Drilling. The anticipated first day of trading on Nasdaq Copenhagen is on 4 April 2019. The A.P. Moller - Maersk Board of Directors intends to propose a single share class structure for Maersk Drilling with the newly listed shares in Maersk Drilling being distributed to the A.P. Moller - Maersk shareholders on a pro-rata basis based on the nominal value of the shares in A.P. Moller - Maersk. Shareholders will receive one share in Maersk Drilling per nominal A.P. Moller - Maersk DKK 500 share and two shares in Maersk Drilling per nominal A.P. Moller - Maersk DKK 1,000 share. The demerger and distribution of the Maersk Drilling shares will be tax-exempt for Danish tax purposes. A.P. Møller Holding A/S has agreed to a 360-days lockup of their shareholding in Maersk Drilling, subject to certain customary exemptions. "Maersk Drilling is an industry leader in the global offshore drilling market, based on its well-reputed and safe operations and a fleet that is among the youngest and most advanced in the industry. The demerger will create a listed Danish-based offshore drilling company with a clear investment profile and long-term development prospects. Maersk Drilling is well-positioned to capitalise on the value creation opportunity of a globally leading pure play offshore drilling company to the benefit of both its long-term blue-chip customer base, as well as its investors", says Claus V. Hemmingsen, Vice CEO of A.P. Moller - Maersk and Chairman of the Maersk Drilling Board of Directors.